Flexible endoscopy is a standard clinical procedure conducted on thousands of patients every year at hospitals across the country. It’s a procedure where the doctor uses special instruments to get a clear view of internal organs. Additionally, it helps in performing surgical procedures without the need for large incisions. Hence, it’s highly critical that endoscopes are cleaned and disinfected thoroughly after each use, to prevent the spread of infection. And, while cleaning and disinfecting, the guidelines must be adhered to strictly. Cleaning endoscopes manually can remove over 95% of the microorganisms and other organic debris. Improper cleaning leaves behind organic debris like mucus and blood on the endoscope. This prevents adequate penetration of sterilizing medium or disinfectants. Additionally, failing to clean the equipment may cause the instrument channels to be blocked, thereby causing improper functioning. Make use of the following tools for Endoscope Protection and keep it functioning efficiently. Bedside Pre-cleaning Kits — This kit consists of three enzymes — lipase, amylase, and protease. It also has surfactant detergents that help in the prevention of biofilm and bioburden from drying on or in the equipment. The enzymatic detergent used in this kit is odorless, non-toxic, non-irritating and biodegradable. The water mixed along with the detergent undergoes a comprehensive cleaning process. Dura Sponge — This sponge can retain a higher concentration of cleaning solution when compared to regular sponges. It works with several types of disinfecting solutions and enzymatic detergents. 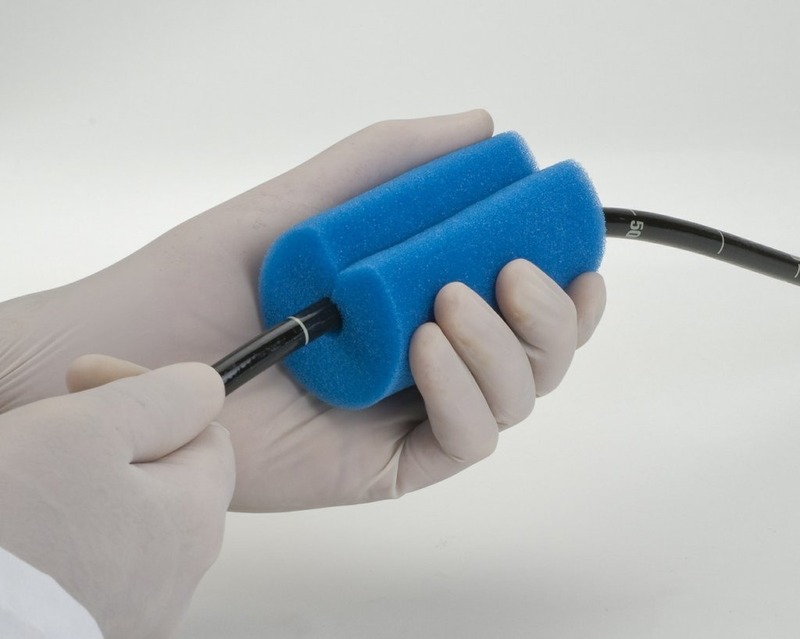 The dura sponge is essential for safe-cleaning of fixtures and medical instruments used in the endoscopy process. Tip Protectors — Endoscope Tip Protectors are used to prevent damage to the endoscope during storage and to prevent moisture from building up. The protectors help in storing, transporting and cleaning equipment, without damage to the delicate internal components. Sleeves — Endoscope protection sleeves provide a barrier for the tubes of the endoscope and prevent physical contact with the environment. Additionally, it also prevents potential bacterial growth, by wicking moisture away. You can even tape labels of the procedural cleaning details on the sleeves, instead of directly on the scope body, thereby protecting your equipment. Durability and superiority — Always ensure that any cleaning equipment you buy is durable and made with high-quality materials, so that it lasts for long, thereby proving to be cost-effective in the long run. Adheres to National Medical-compliance Safety standards — You don’t want to run the risk of using substandard cleaning materials that damage expensive equipment. Ease of use — Look for cleaning products that are easy to use, especially when you’re in a rush. Basic and advanced cleaning kits are an excellent option since they come with all that you need, included in the kit. Made with 100% medical grade materials to avoid causing any damages. Finding the right cleaning and protection equipment is essential to keep your endoscopic equipment functioning for long without any damage. Make sure to check out the guiding factors listed here to help you choose the right solutions. Flexible endoscopes and related instrumentation are an expensive purchase for your clinic. 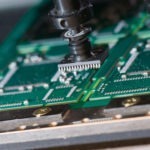 Improper handling and lack of right cleaning techniques can lead to costly repairs. Use these guidelines to find the right cleaning and protection equipment and keep your endoscopes functioning efficiently for years to come.